What a fun book to start up this blog with again. 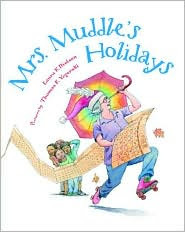 "Mrs. Muddle's Holidays by Laura F. Nielsen and illustrated by Thomas F. Yezerkski is the story of a woman who moves into a neighborhood where they are already active celebrants of all the regular holidays. Mrs. Muddle, however, introduces them to lots of holidays they've never heard of before like "Earthworm Appreciation Day", "The First Shower of April Day", and her annual "Garlic Jubilee". The wonderfully fun illustrations complement the text by bringing to life many of the details of each of the celebrations including all the teamwork and preparation required for a sizeable celebration across the neighborhood. 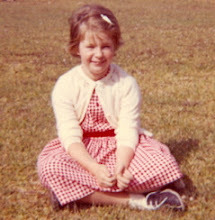 The neighborhood children are so appreciative of everything they've learned about celebrating life that they determine to create a suprise holiday that Mrs. Muddle has never heard of before. They enlist the help of all the families in the neighborhood to suprise Mrs. Muddle with a brand new holiday, Mrs. Muddle Day! If I had to choose my favorite illustration, it would probably be the February celebration of "Let's Pretend it's Summer Day" with the entire neighborhood decked out in their heaviest winter wear enjoying picnics, barbecues, baseball and volley ball games, flying kites and sliding around on the ice at a backyard pool. Great review, thanks! I'm always on the hunt for great children's books and have recently discovered Bayard and their series of StoryBoxBooks, AdventureBoxBooks and DiscoveryBoxBooks (which is a special Olympic edition) They have work by acclaimed children's books illustrator Helen Oxenbury appearing in the Storybox series for September. In addition to this, they also have some great activities for rainy days: http://www.storyboxbooks.com/potatoprinting.php, http://www.adventureboxbooks.com/macaroni-picture-frames.php, http://www.discoveryboxbooks.com/skittles.php Enjoy!